Water heaters are engineered to last for many years. However, even the best water heaters eventually reach the end of their service life. Spare yourself from the guesswork involved in gauging the remaining life span of your water heater. In today’s blog post, Matheson Heating and Air, one of the leading HVAC and plumbing companies in Michigan, shares six signs that indicate it’s time for a water heater replacement. 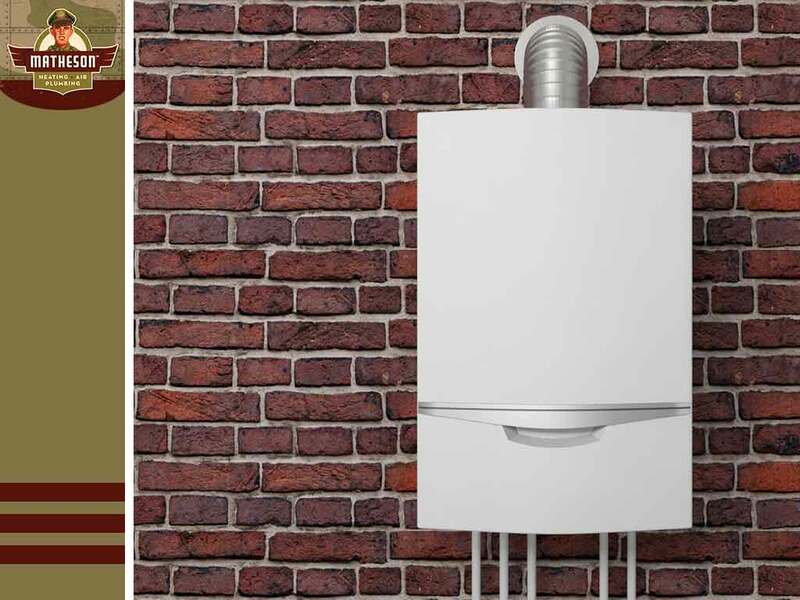 Most water heaters are made of steel, and while steel is one of the most durable materials on the market, it’s not impervious to rust or corrosion. When your water heater starts affecting the appearance of the water, it’s time for a replacement. It’s normal to hear tapping or ticking sounds coming from your water heater, especially if your equipment has a heat trap or valve where water passes through. However, loud noises such as rumbling, banging or gurgling sounds may indicate a more serious problem. One of the top problems that prompts a water heater replacement is the lack of hot water. Reduced water volume can stem from a thermostat issue, unusual bouts of cold weather or a faulty dip tube. In any case, you need to replace your water heater. Replace your water heater once it hits the 10th year mark. This is the best way to keep your heating equipment in good condition. A ruptured tank can cause major flooding, and can only be fixed by replacing the unit itself. Minor water leaks, on the other hand, are caused by supply line or drain line failures. As your water heater ages, sediments will accumulate on the bottom of the tank. The constant cycle of heating and reheating then hardens this buildup. Once the sediment solidifies, your heater will be less efficient and will require more energy to heat the water. Matheson Heating and Air is one of the best heating and air conditioning companies in the area. Call us today at (248) 716-6416 to request an appointment. We serve White Lake, MI.